JUNE 24, 2017 – BALTIMORE, MD: Colin came to Earl’s Place in 2012. He was at one time an assistant to acclaimed photographer Annie Leibovitz. Now he is clean and sober and nurtures his relationship with his daughter. AUGUST 14, 2017 – BALTIMORE, MD: Earl is 54 years old. He used drugs for 30 years and was in numerous recovery programs before coming to Earl’s Place in 2006. Earl believes the structure of Earl’s Place, including curfews and chores, helped him learn how to be neat and clean, and how to respect others. “I have 12 years without drugs. I have my own place. I go to church. I have a job, a sponsor, and I’m the sponsor for two men,” says Earl. The conversation around addiction and recovery is a minefield filled with a wealth of disinformation, misinformation, sensationalization, exploitation, and victimization, poisoning our understanding of issues — and the lives at stake. For addiction rarely harms the addict alone, but extends into the lives of families and friends. Photographer Andrew Mangum understands this firsthand, his mother having suffered from addiction most of his life. Although she is now clean and sober, Mangum continues to bear the pain of trauma that has informed his life. Photography became a path to healing through conversation and communion, centered in the vital, necessary act of human connection with the people he met at Earl’s Place in Baltimore. A transitional housing program for homeless men in recovery from alcohol or substance abuse, Earl’s Place provides long-term housing and support services for up to two years. At any given time, 17 men are given the basic support and care needed to help them continue their education, get a GED, secure job training and employment opportunities that will allow them to re-enter mainstream society. 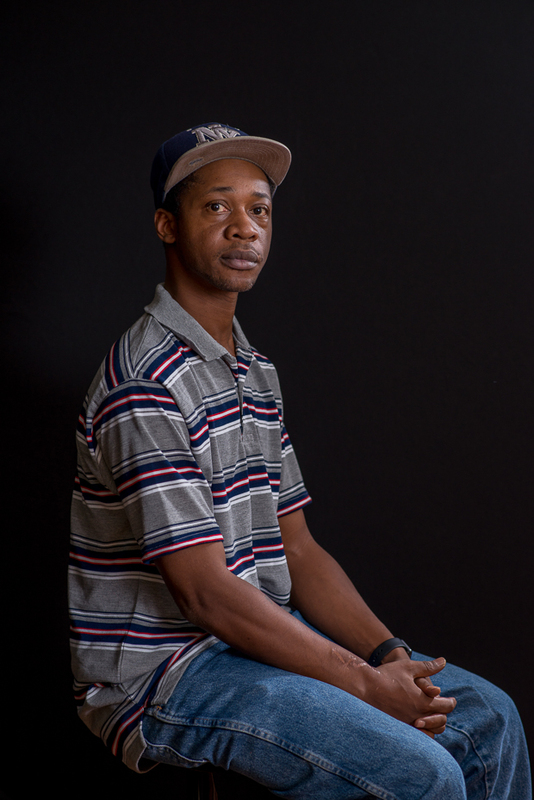 Through the process of creating these portraits, Mangum was able to have conversations with these men that were too difficult to have with his mother. The depths of his understanding is profound, as his portraits stand in silent testimony to the toll addiction exacts on those who fall into its perilous clasp. Yet there is none of the hand-wringing, holier-than-thou, condescending contempt or voyeuristic thrill seeking that pervades so much coverage of addiction in the press — there is simply a knowledge of the struggle and mutual respect. 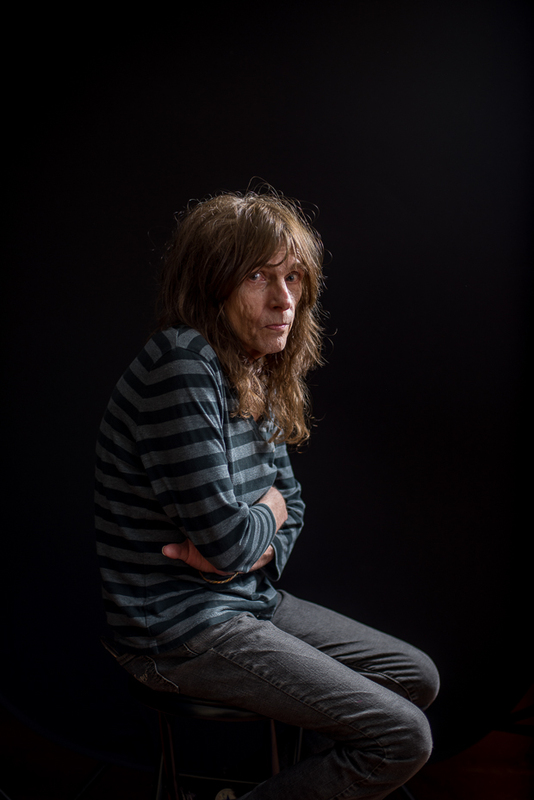 Here, Mangum shares his experiences creating this intimate body of work that humanizes the face of addiction. 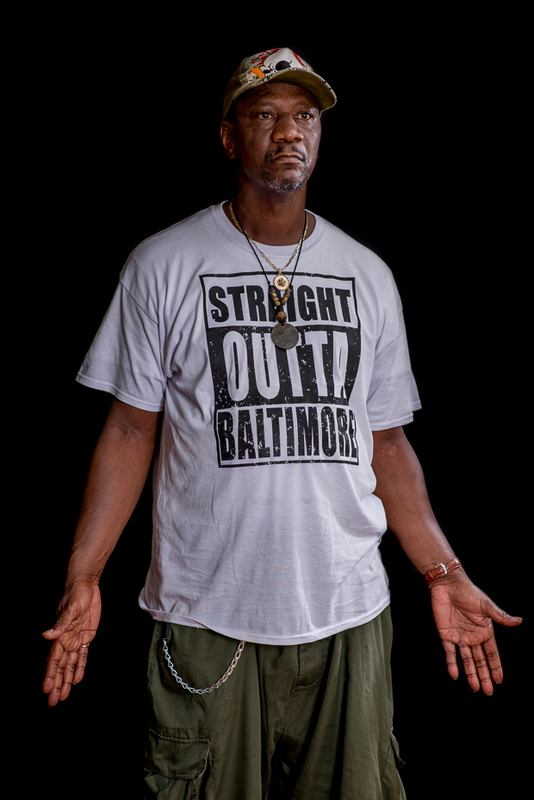 JUNE 10, 2017 – BALTIMORE, MD: Bryant J. came to Earl’s Place for treatment in 2001 to break the cycle of jail and substance abuse. Bryant describes himself as coming from a place of anger, in an environment where everything was critical and violent. “Low income poverty breeds this type of behavior. I thought it was normal,” he said. 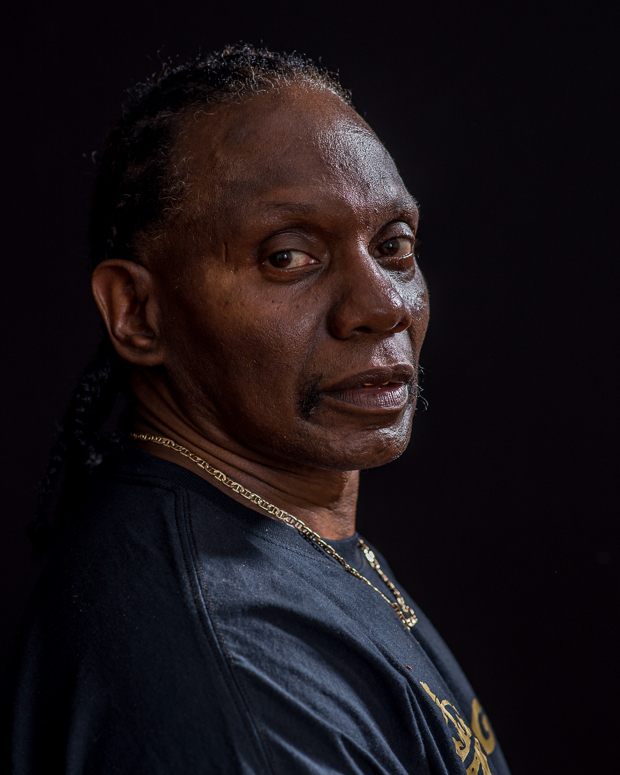 Coming to Earl’s Place taught him how to handle confrontations in a different way, learning humility, Bryant accepted the fact that he needed help dealing with his depression. At the age fo 50, Bryant will tell you it’s never too late to follow your dreams. He was accepted into nursing school and is now working towards a degree in respiratory therapy and critical care. Could you tell us about Earl’s Place? 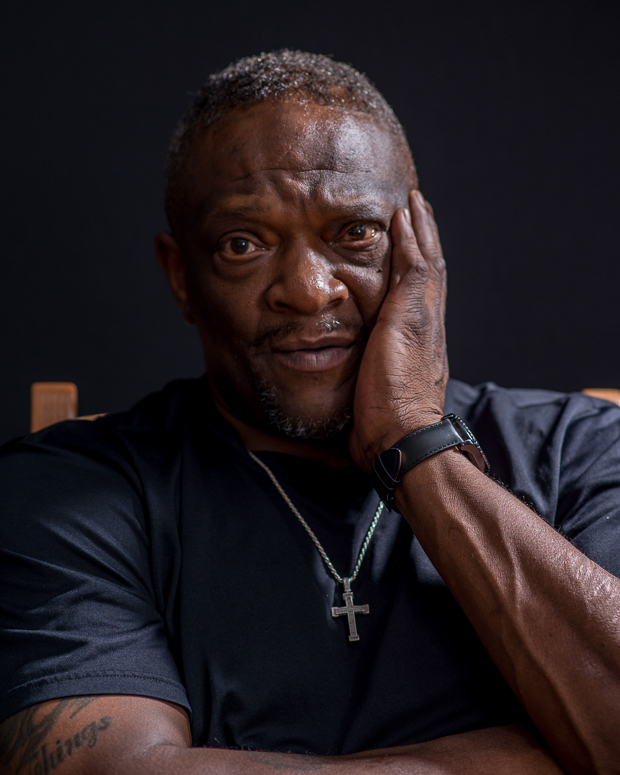 “Earl’s Place was started in 1997 by United Ministries, a community and faith-based non-profit, dedicated to providing housing and social justice advocacy for men who are homeless and want to change their lives. The facility sits on the edge of the Jonestown and Washington Hill neighborhoods in Baltimore City. Many of the men I met were from Baltimore city or the surrounding suburbs. 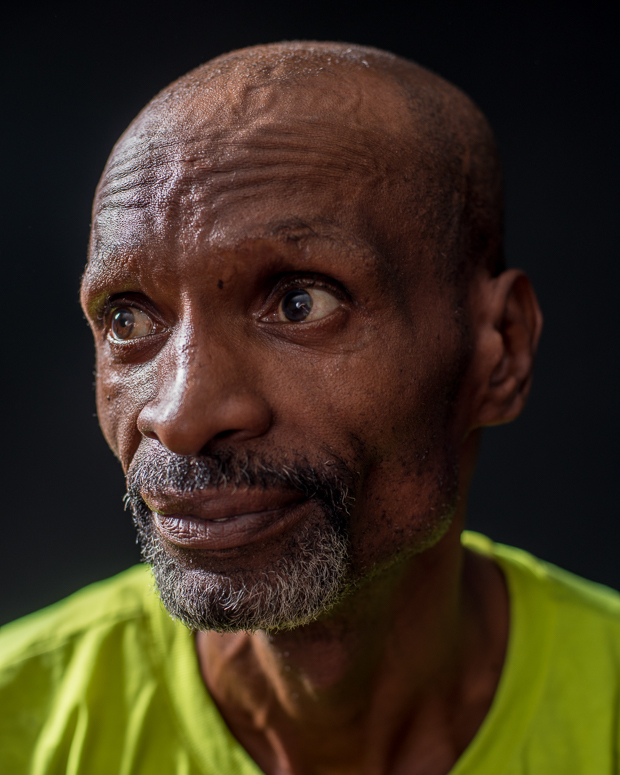 AUGUST 14, 2017 – BALTIMORE, MD: Frank had been in several recovery programs before coming to Earl’s Place in 2004. He learned the importance of saving money, having a daily routine, and was challenged to be a better person. While at Earl’s Place, Frank enrolled at Baltimore County Community College. An in 2018, Frank graduated from University of Maryland Baltimore County (UMBC) with a degree in Animation/Interactive Media. Frank says that he did a complete turnaround from what his life was like before. Now, he is more confident in his decision making, he has more of a positive outlook on life, and he enjoys helping others. Could you talk about the circumstances that led you to Earl’s Place: where were you at this time in your life and could you describe how you set about creating this body of work? “I was making these portraits in the summer of 2017 — but the relationship truly started back in the 2012. This was around the time that I started making photographs at night. My oldest son was born this same year and it was much easier to get out of the house after he and my wife were asleep. I also worked a 9-5, so daytime photography was limited, as you could expect. “One night I made a picture of Earl’s Place from outside, across the street, through a chain link fence you find around a baseball diamond. The shape of the fence made an outline of a house that overlapped with the row homestyle building that Earl’s Place inhabited. I was unaware of Earl’s Place but when I did some Google searches I found Sheila Helgerson’s number and called to share my picture. The next month I brought a handmade print down to Sheila and expressed my gratitude for what they were doing at Earl’s Place, sharing that my mother suffers from substance abuse. “Jump back to the summer of 2017: I was approaching my 30th birthday, and leading up to this milestone I was doing a lot of internalizing, thinking about my childhood and how blessed I was to be making it to 30! My mother suffers from substance abuse and thinking about my childhood and some of the crazy, stressful, scary, things that I witnessed, I realized that we never talk about her addiction, or what it did to our relationship. These kinds of conversations are difficult to have, especially with an already fragile relationship. JUNE 24, 2017 – BALTIMORE, MD: Patrick came to Earl’s Place in 2015, claiming that it was his saving grace for recovery in the city of Baltimore. It was the first time he was able to remain drug-free because he was living in a community that provided a little freedom, but also the structure he needed. “My life is a million times better and completely different from when I came to Earl’s Place. I have a new apartment and I’m staying the course I learned while at Earl’s Place,” he said. 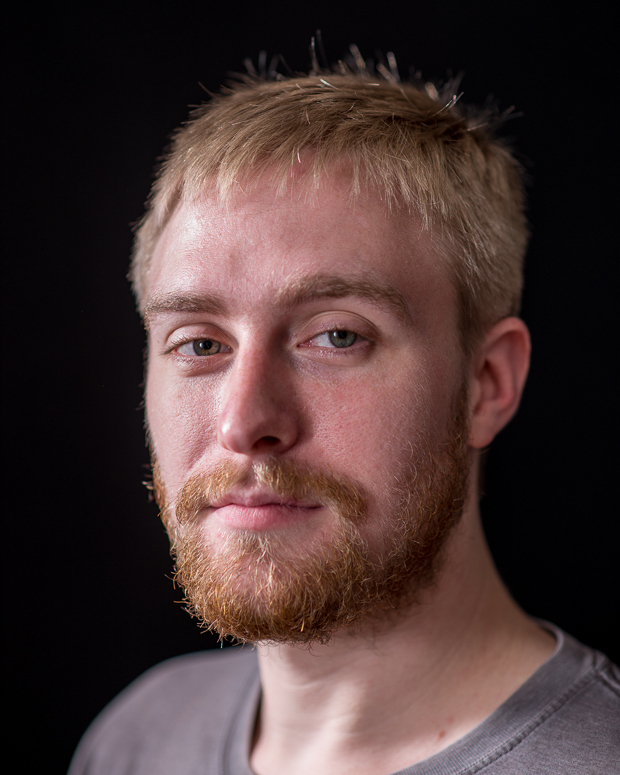 Now, Patrick works at a book store in Baltimore and is looking forward to going on a real vacation, perhaps to Myrtle Beach. At what point did you realize this project have you the space to begin processing your own experiences as the child of an addict? “That’s a tough one to answer because I think I started processing my own experiences before I even started making these portraits. I did share a really intimate moment with one of the men when he expressed how sad he felt for missing many of the defining moments in his daughter’s life, due to his addiction. We were able to talk through some things, sharing my point of view as it pertained to missing my mother, and his point of view as it pertained to being trapped inside of a body that he felt he had no control over… that moment hit me. 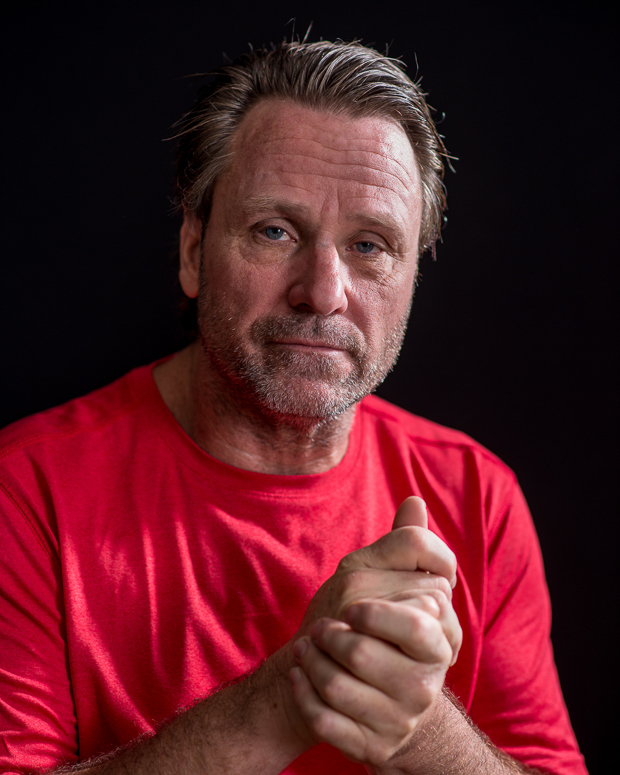 Can you talk about the ways in which portraiture allows you to connect, confront, explore, or examine the nature of addiction and the person experiencing it? JUNE 10, 2017 – BALTIMORE, MD: Jay came to Earl’s Place in 1999. Now he works as a manager in a restaurant and maintains his sobriety. How has this project allowed you to create a new paradigm for the way we deal with addiction? “I don’t know if I can take any credit for creating any kind of paradigm shift. I’ve seen what someone looks like when they’re overdosing. I’ve called 911 and cried next to my mother as we waited for an ambulance. There’s no dignity in that space. There’s no room for conversation. 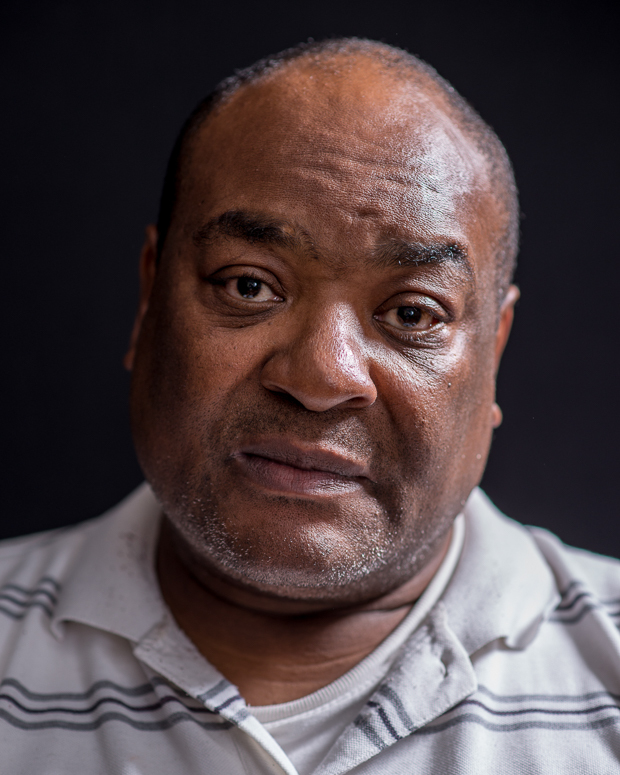 JUNE 10, 2017 – BALTIMORE, MD: Carl went through a divorce, lost his job, and then lost his home. In 2010, Carl came to Earl’s Place, making it his refuge. He learned how to handle problems logically, how to talk about his feelings, and how to accept help. “Homelessness is devastating. But it’s a driver to make you want to get out. Learn a whole new way of thinking and a new way of living will come,” he said. Now he feels blessed. He has his own place and continues to maintain his recovery. JUNE 24, 2017 – BALTIMORE, MD: Bruce came to Earl’s Place in 2009. Being at Earl’s Place made Bruce realize that he should have gotten cleaner a lot earlier. “Life could have been so different. Living on the streets was a nightmare. People who are homeless aren’t treated very well on the street and are often preyed upon by other people,” he said. There are many things about Bruce’s time at Earl’s Place that are important to him. Top on that list was rescuing Sophie, the Earl’s Place house cat. It was also important to be around others in the same situation, have time to “get things in place,” and work on his health; have a place to garden and paint.